UPDATE: There seems to be a redirect issue with this site and Newegg Flash that sends anyone that clicks this post’s links to the main Newegg page instead of the Newegg flash one. The issue is being looked into, but for now, go to flash.newegg.com to see this Nexus 5X deal. If you’re looking for an affordable way to be one of the first to get Android Nougat, Newegg has the deal for you. On Newegg’s Flash sale site, the Nexus 5X is now being sold for $234.99 with free shipping. This model comes with 32GB of built-in storage and is available in black or white. To compare, Google is asking $399 for the 32GB Nexus 5X, so you’re saving quite a bit of cash with this deal. 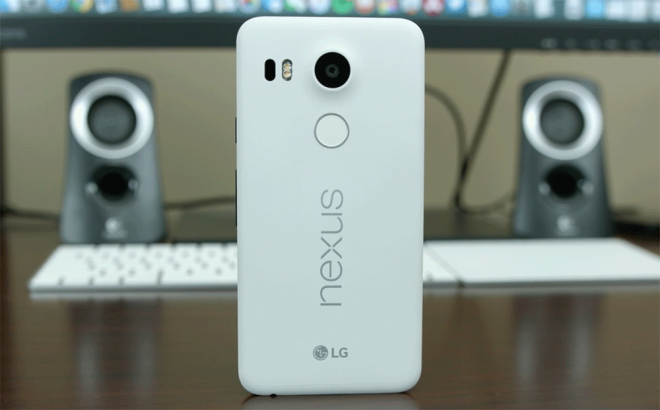 The Nexus 5X comes unlocked, but it supports T-Mobile’s band 12 LTE, VoLTE, and Wi-Fi Calling. And because it’s a Nexus, it’ll be one of the first phones to get Android 7.0 Nougat when the update is released to the public. The 5X may not be the most high-end phone around, but if you’re looking for an affordable Android phone or just a cheap way to try Nougat, this deal is worth a look. You can check out this Nexus 5X deal for yourself at the link below. Great phone for the cost. Very easily one of the best for the price. When did the sale start? Because it is now showing $270! For some reason, the links that I include in the post redirect to Newegg’s main site, not the flash sale site. I was just able to add a $234.99 Nexus 5X to my cart by going directly to flash.newegg.com. Working to figure out what’s going on with the weird redirects. Please don’t post these deals. they’re not official and a lot of the time only have a 30 day warranty. Sorry, but I call that entry level. Nonsense. The 5X is better that the 5 in almost every way. I should know as I’ve owned both. Just look up Nexus 5X reviews. Awesome deal (ends in 4 days). Not top of the line phone but definitely not entry level either. It says 269 when I search Newegg. When I click your link it doesn’t take me to nexus 5x page. Damn got my hopes up. My comment got deleted? I was coming back to thank whoever gave me that link. Whoever it was thank you. $199 here, bought it and use the service, works well! I bought this phone from B&H for $250 a few weeks ago as an upgrade to my Nexus 5 2013 and so far I’m liking it. This is the price point the phone should’ve launched at IMHO. Solid mid-range phone w/ a great camera at a reasonable price, and it will be one of the first devices to get Nougat. My biggest issue with the phone is a personal one, I hate that the headphone jack is on the bottom. Makes it impossible to plug into my charging dock on my desk at work & stream TuneIn radio through my PC speakers. Also the transition to USB-C is a bit of a pain. Bought some cables & micro USB to C adapters on Amazon.